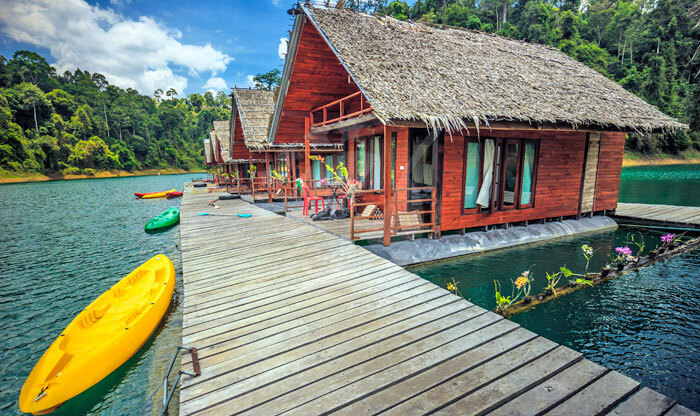 Surat Thani is not a mundane place! It’s a truly marvelous experience. But getting to it is actually very easy and can be done in various ways. 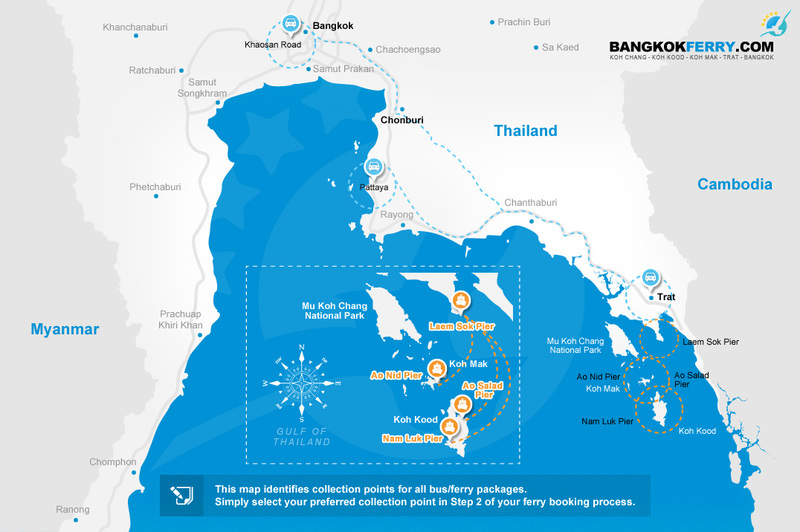 Surat Thani has a fully functioning international airport with both domestic and international flights, flying in and out on a daily basis. 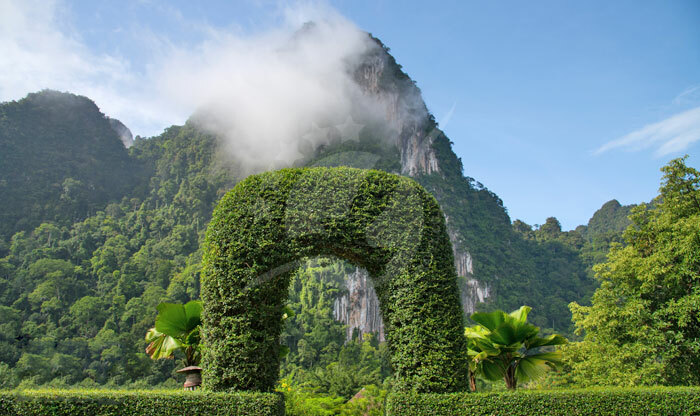 A fact about Surat Thani is that it has 3 bus stations, meaning an abundance of bus rides from all over Thailand, like Phuket, Chumphon, Krabi, Hat Yai and more. 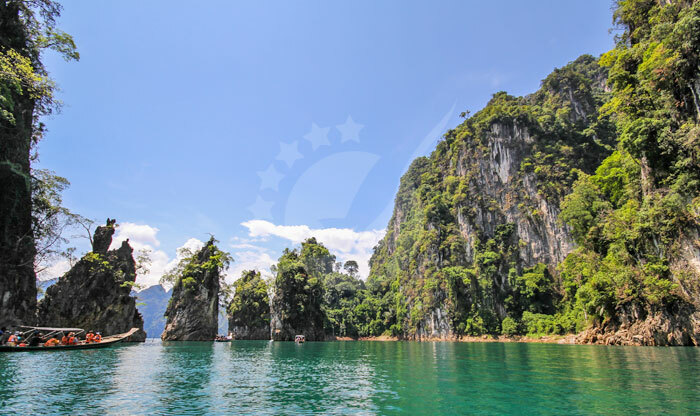 Another way to get to this breathtaking place is by train through the Surat Thani Train... 阅读更多 Surat Thani is not a mundane place! It’s a truly marvelous experience. But getting to it is actually very easy and can be done in various ways. 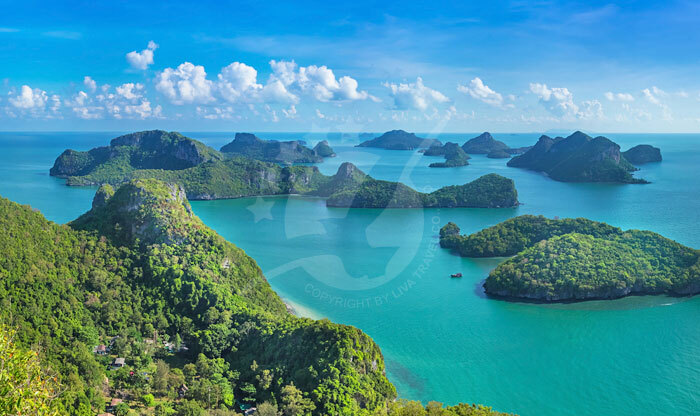 Surat Thani has a fully functioning international airport with both domestic and international flights, flying in and out on a daily basis. 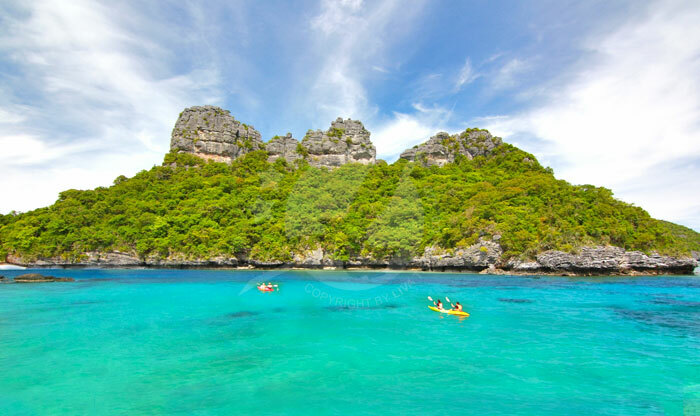 A fact about Surat Thani is that it has 3 bus stations, meaning an abundance of bus rides from all over Thailand, like Phuket, Chumphon, Krabi, Hat Yai and more. 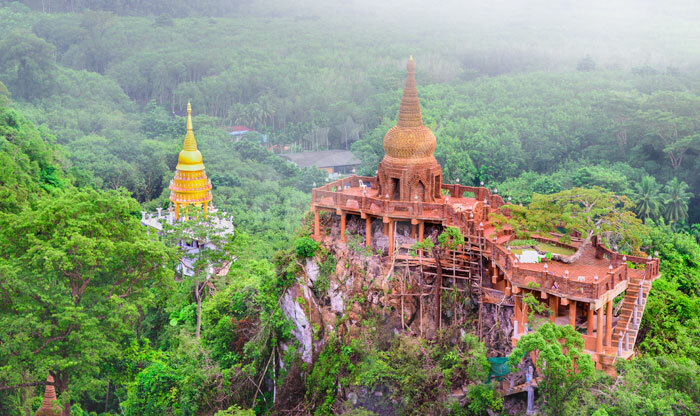 Another way to get to this breathtaking place is by train through the Surat Thani Train station, the train station offers many rides to places like Trang, Bangkok, and Phatthalung, stopping on amazing locations along the way. 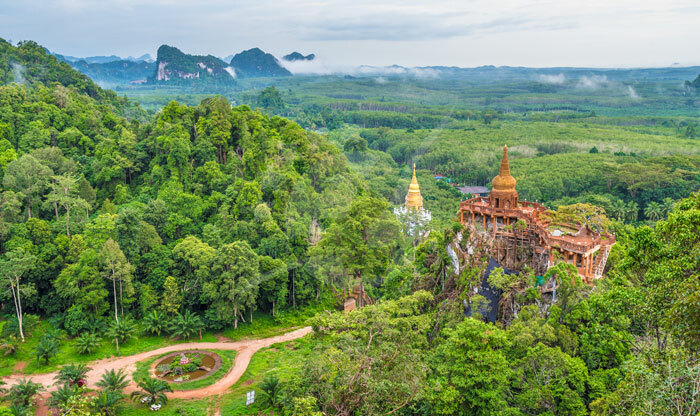 The city of good people is the literal translation to Surat Thani, so get ready for nothing but hospitality and kindness when you get there. 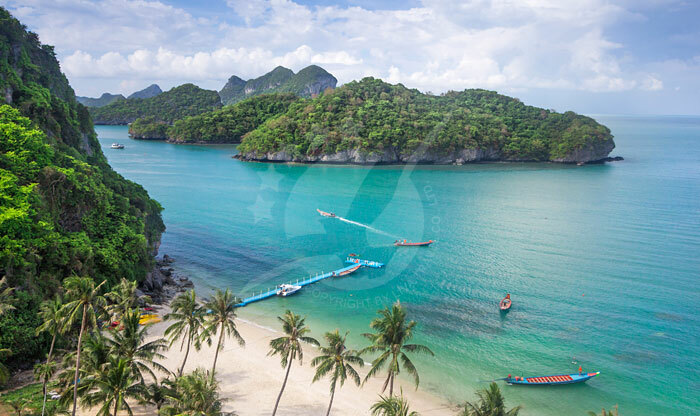 The city is used mostly as a middle ground to get to other places in the Gulf Coast of Thailand like Koh Phangan, Koh Tao, and Koh Samui among so many more. But, the true beauty of the city is underrated and it has so many interesting places to see. 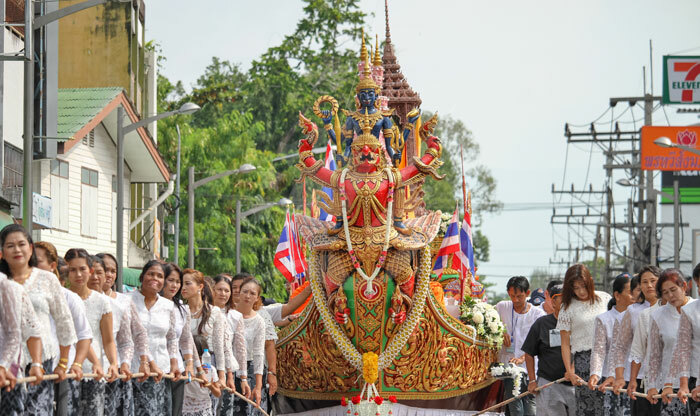 When you’re in Thailand it’s so easy to notice the deep religious element that is ingrained so greatly among the locals and how it magnificently participates in constituting the Thai culture. 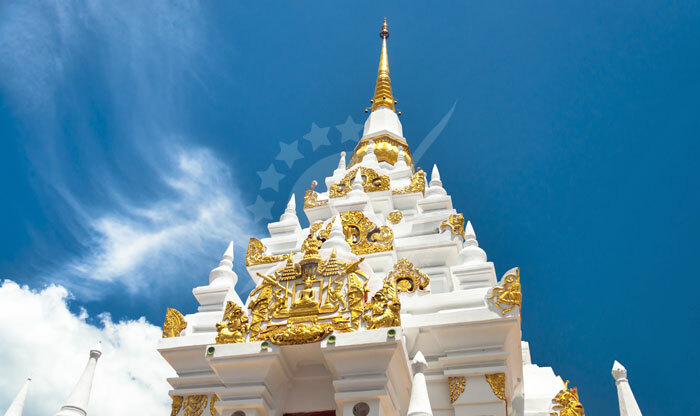 You can examine that even further when visiting the City Pillar Shrine, which is one of the most beautiful religious sights in Surat Thani. 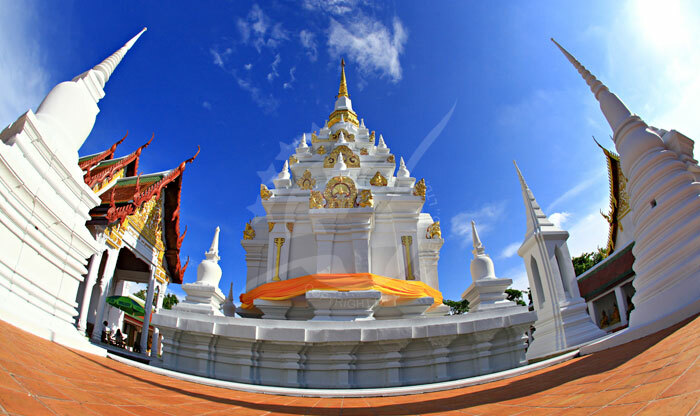 The shrine is known for its ceremonies that celebrate the spirit of Surat Thani that lives within its holly grounds. 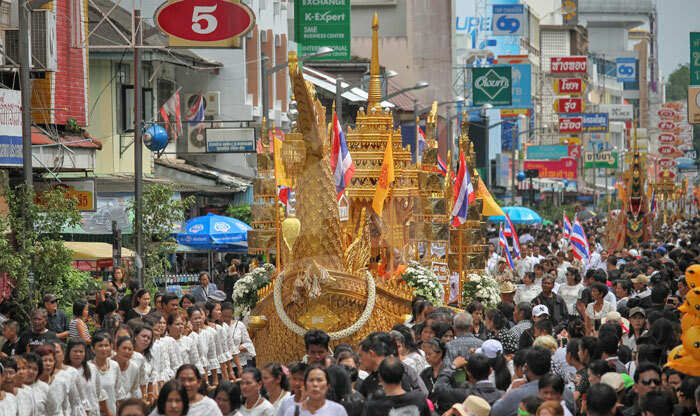 For the ceremonies, you will probably need incense, candles, and flowers, which all can be bought right from there. 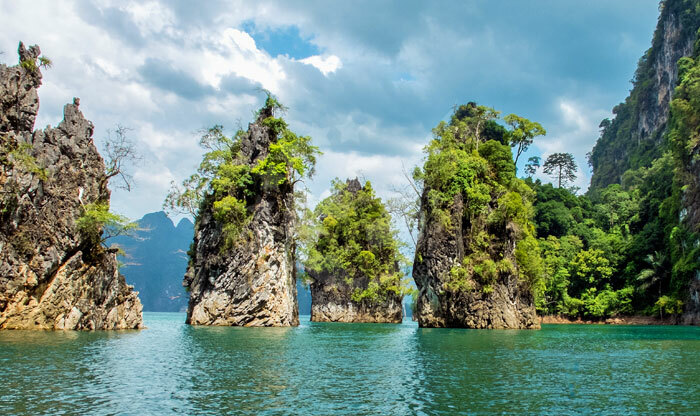 The great thing about this park is that it's actually a breathtaking archipelago that makes up more than 42 islands on the Southcentral coast of Thailand. 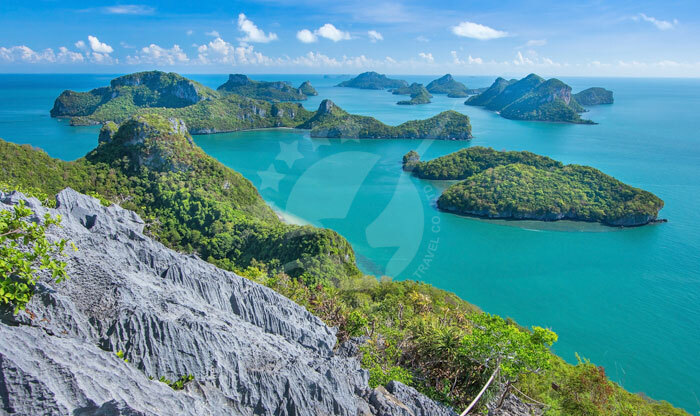 Taking a trip to the Ang Thong National Park is an unforgettable experience, to say the least, and very recommended. 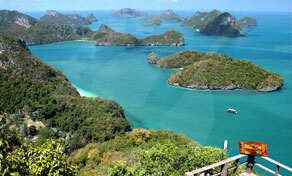 I mean, who wouldn't want to sail around the islands and witness the marvelous panorama they naturally exude. 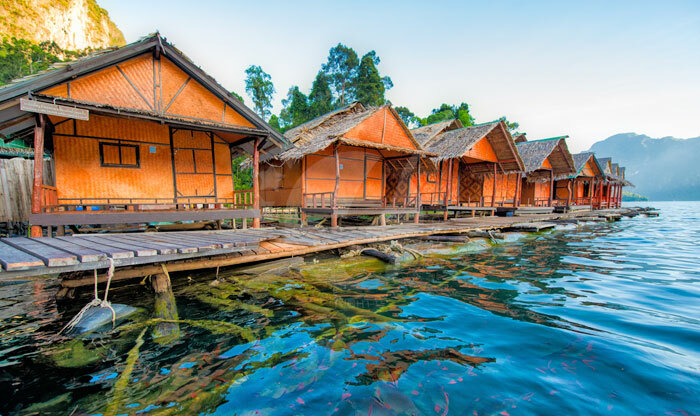 Aside from startling visuals, the park also has a lot of wildlife species of amphibians, birds, and fish. 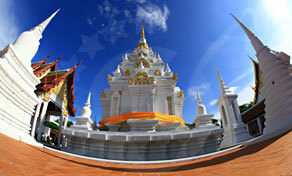 The park’s admission fees are about 300 Baht for adults. 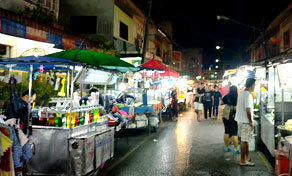 Many tourists agree that one of the greatest experiences in Thailand is the night markets. 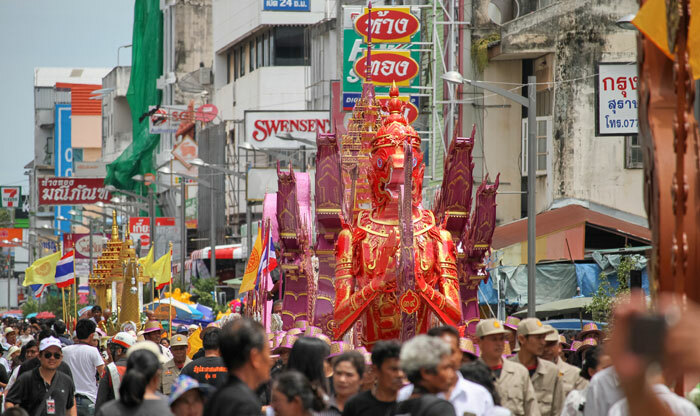 And the night market in Surat Thani is no different, as it offers amazing culinary delights and delicious treats fulfilling all your desires. From noodle dishes, desserts to marinated meats on sticks and fresh fruit juice, taking a tour in the market, enjoying the delicious food and meeting kind locals sounds like a day well spent to us. So, what about you? The possibilities are endless and the night is still young. 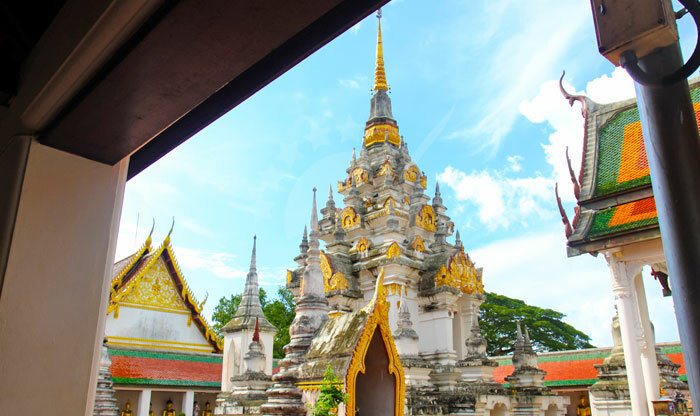 Museums are one of the best ways to get to know a culture’s history and the fundamental elements that shaped it throughout the ages, especially Thai culture as it’s part of a long-lasting civilization. Chaiya National Museum is formed of 2 buildings that store equally fascinating artifacts. 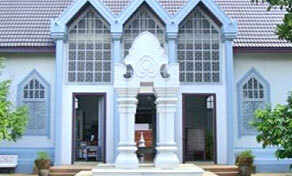 Artifacts in the museum are from different eras like Ayutthaya, Lop Buri, Dvaravati and Sukhothai. The museum features a great collection of historical statues and relics with English explanations so tourists can understand everything clearly.